There will be a Pokémon Super Bowl 50 commercial. This is exciting news for Pokemon fans not just in the United States, but word-wide. The Pokemon Super Bowl 50 Ad is in celebration of the 20th anniversary of the first Pokemon game. 2016 will be a year-long celebration of the past, present, and future of the 20-year-old brand. 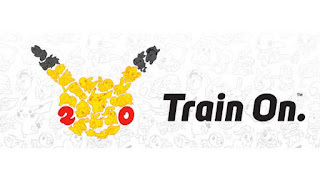 To kick-start the celebration, The Pokémon Company International announced today that it will air Super Bowl 50 ad on Sunday, February 7, which will encourage fans to Train On. The company did not reveal any further details about the first Pokemon Superbowl commercial. In that spirit, fans are encouraged to share their favorite Pokémon memories on Twitter, Instagram, and YouTube using the hashtag #Pokemon20. On Pokémon Day, February 27, fans can join in on the fun at special events at participating retail locations across the country. In addition to all of these ways to celebrate 20 years of Pokémon, there is much more to come in 2016. This spring, Pokkén Tournament for the Wii U console will bring Pokémon to life in a way never seen before: Pokémon battle in direct response to the player’s actions. Pokémon GO, a ground-breaking mobile game that will encourage fans to search far and wide in the real world to discover Pokémon, launches later this year. To coincide with Pokémon Day on February 27, Nintendo will also make some of their best-selling Pokémon amiibo available again, at select retailers only. Fans should be on the lookout for Charizard, Jigglypuff, Greninja, and Lucario to join Pikachu at stores nationwide. In a fitting tribute to where it all began, Pokémon Red Version, Pokémon Blue Version, and Pokémon Yellow Version will be released as digital downloads on Nintendo eShop for the Nintendo 3DS family of systems on February 27. Pokémon Red Version and Pokémon Blue Version will also be included in a New Nintendo 3DS bundle. The New Nintendo 3DS Pokémon 20th Anniversary bundle will come with Pokémon Red Version and Pokémon Blue Version pre-installed, two unique cover plates featuring artwork from the original Pokémon Red Version and Pokémon Blue Version game boxes and the Pokémon 20th logo, and a download code for an exclusive Nintendo 3DS Pokémon HOME Menu theme. The commemorative New Nintendo 3DS bundle will be available on February 27 at retail locations. Pokémon TCG fans can celebrate 20 years of Pokémon with the Pokémon TCG: Generations expansion. This special expansion covers every stage of a Trainer’s journey, from the choice of a first partner Pokémon to the most elite of Trainer battles. Featuring Pikachu, Snorlax, Ninetales-EX, Jolteon-EX, plus Mega Charizard-EX, Mega Blastoise-EX, and Mega Venusaur-EX, the Generations expansion will be available in February. Generations booster packs will be available within specially labeled and designed Pokémon TCG products released as part of the Pokémon 20th celebration, starting with the first Pokémon TCG: Mythical Pokémon Collection coming in late February. A total of 11 Mythical Pokémon Collections will be released throughout 2016, each containing two Generations booster packs. In addition, four Pokémon TCG: Red & Blue Collections focused on the original superstars of the Pokémon world, each containing four Generations booster packs, will be released in 2016. The celebration continues with special retail events. Four Mythical Pokémon video game character distribution events will take place at participating GameStop locations throughout 2016, with one being distributed each quarter. Fans will need to have Pokémon Omega Ruby, Pokémon Alpha Sapphire, Pokémon X, or Pokémon Y, and a system from the Nintendo 3DS family to receive Mew, Darkrai, Arceus, and Genesect. On Pokémon Day, February 27, at participating Toys“R”Us locations, fans can receive special foil Pokémon TCG cards featuring Pikachu and Magikarp from the Generations expansion, a Pokémon activity book, and a poster of the original 151 Pokémon, while supplies last. Toys“R”Us will also have an exclusive Generations-themed folio available for purchase to collect the new expansion. Beginning in January and continuing throughout the year, 12 full-length Pokémon feature films will be available for digital download from iTunes, Google Play, and Amazon. Among the releases will be digitally remastered versions of Pokémon: The First Movie and Pokémon the Movie 2000 and Pokémon 3: The Movie. In addition, Pokémon TV, available on Pokemon.com, Roku, Chromecast, and Amazon Fire platforms, will feature one film title per month to align with other Pokémon brand activities. The first three Pokémon films will also be available in both DVD and Blu-ray formatted bundles from licensee Viz Media. A 48-page interactive digital reader will accompany Pokémon: The First Movie and can be viewed on any device that supports iBooks, including Mac, iPad, iPhone, and iPod touch. Fans can celebrate 20 years of Pokémon in style with new apparel, accessories, and souvenirs. They can find everything from a special Pokémon 20th baseball cap by New Era to a commemorative pin and lanyard set. Pokémon 20th TCG accessories, such as card sleeves, deck boxes, playmats, and much more, are available for fans of all ages. Limited-edition Pokémon 20th figures and plush items from TOMY International, Pokémon’s master toy licensee, will also be available at participating retail locations.